Stay motivated and excited about your goal and write a goal statement that is short, snappy, positive and memorable using around seven words. Think of it as your personal bumper sticker or the slogan on a t-shirt. Fit into my favourite black dress. Setting the right goal for you will change your life because it will change how you feel, think and act on a daily basis. Dream big and stretch yourself into a new life! This article focused on setting the right goal statement for success. However every goal needs a strategy and a plan of action including regular check-ins, mid-course corrections, rewards and celebrations along the way. Without a plan a goal is just a wish. Go back to part 3! Using brain based models, she holds coaching conversations with clients to help them gain clarity, generate insights, overcome self-limiting beliefs, and develop new habits to improve individual performance and become more effective leaders. She also coaches teams to improve their group performance and achieve corporate goals with measurable results. For more information on coaching services contact Marielle at (306) 955-3205, marielle@redworkscoaching.com or visit www.redworkscoaching. She is based in Saskatoon, Saskatchewan. The goal you set however must be achievable within a 90-day period and you need to truly believe that you can achieve the goal within this time period. Ninety days is a long enough time frame to create new habits but short enough to continue to be motivated and excited about the goal and committed to doing the work to get there. If you think the goal is too big then break it down into smaller goals that can be realistically achieved in 90 days. Once you have achieved the first goal, then you start working towards another, and then another ultimately working towards achieving the over-arching goal. For example, Patti owes $25,000 on her line of credit and $175,000 on a business loan and she would like to be debt-free in six months. It took her longer than six months to get to this point so it may not be a realistic goal to be debt-free in six months. However, if Patti sets a smaller, more achievable goal such as reduced her line of credit balance by 25%, this goal may be more achievable within a 90 day period. Once she achieves this goal she develops other goals to chip away at the debt level to eventually reach her ultimate goal of being debt free. It might take her a little longer but by setting and achieving smaller goals she is making progress towards achieving the big goal. Also, by seeing the progress she is making she will remain motivated and energized to continue working towards the goal. What smaller goals can you set? Click here to move on to Part 4! David Rock, author of Quiet Leadership and founder of the Results Coaching System, says “you want to develop a goal that is visionary and inspiring to pull you forward and draw the best out of you.” To have a real change in your life you need to define a goal that would make the most difference for you. For example, Sandra, a solo entrepreneur, has been in business five years and she is very happy with her success so far. However in pursuit of her business goals she was neglecting her health – she rarely exercised, she made poor food choices, she was not sleeping well, she gained weight and her blood pressure was on the rise. By focusing on a goal that is visionary and inspiring Sandra is more passionate and determined to achieve it because there is so much more at stake – her health and overall sense of wellbeing. Also, by focusing on what she does want her brain will start creating new neural pathways and start to create a new habit. It will be easier for Sandra to create a new habit rather than change an old habit because by focusing on changing the old habit the neural pathways of the old habit become further entrenched making it more difficult to change the behaviour. Questions to help you develop an inspiring goal are: What is your vision in this area of your life? What would you like to be different in this area? If you could have could have anything in this area what would it be? See part 3 by clicking here! Go back to part 1 by clicking here! 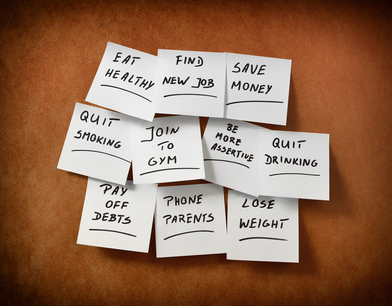 New Year’s Resolutions – Will you achieve yours? The holidays are fast approaching, and many of us are going to be thinking about New Year’s Resolutions. More than 40 % of Americans make New Year’s resolutions. 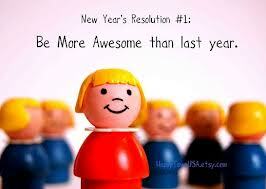 Despite our best intentions, however, only a small fraction of us keep our resolutions. According to the University of Scranton, their research suggests that just eight per cent of people achieve their New Year’s goals. I have written a four-part blog series on setting goals that will change your life and some tips on how to achieve your goals. Keep an eye out for more information about goal setting! Do you set New Year’s resolutions? Are they the same as last year? If so, are you frustrated that you can’t achieve them? Let me ask you a few questions: How do you really feel about the resolution you’ve made? Are you excited and passionate about it? Are you inspired and motivated to action? Is it achievable in the timeframe you have set? Have you made too many resolutions? Goal setting is a very powerful way to achieve your vision for the future. Goals help to focus your attention and energy on what is important to you. You want to set a goal that you really value and will make the most difference for you because it will change how you feel, think and act on a daily basis. So to achieve your New Year’s resolutions or personal and professional goals you need to think differently about the actual goal. Click here to read my next article about Goal Setting.